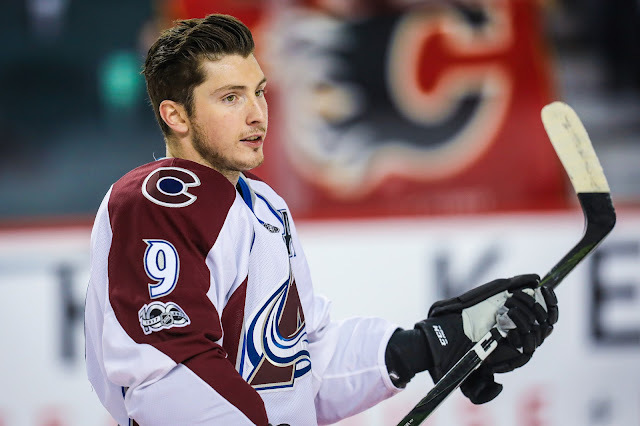 With the Duchene sweepstakes dragging into mid July with no signs of resolution, the possibility of him starting the season in Colorado continues to grow. Nonetheless, new revelations about this ongoing saga have surfaced, and two new teams have apparently entered the mix of frontrunners. The Bruins and Flames join an ever-expanding list of clubs with interest in the 27 year old centerman. Interestingly, these are two teams with strength down the middle. Other teams near the front of the pack such as Columbus and Nashville make a lot more sense from a roster standpoint. Duchene easily slides in as an elite number one or two centerman on either squad. Pittsburgh have shown sustained but not overly significant interested in Duchene, and continue to hang with the pack of teams still poking around. Again, this is somewhat odd considering the Pens top two spots down the middle are accounted for. Then there are teams that have expressed interest in Duchene in weeks past, but seem to have fallen behind the frontrunners: the Islanders, Maple Leafs and Senators. If you want to go back even further to the trade deadline, the Canadiens, Hurricanes, Ducks, Blackhawks and Blues kicked tires as well. Many have compared the scenario to the Rick Nash sweepstakes in the summer of 2012. After months of rumours, Nash was eventually dealt to the Rangers in a deal that included Brandon Dubinsky, Artem Anisimov and a first round pick. That trade came seemingly out of nowhere in the last week of July while most of the hockey world was on holiday. A Duchene deal is going to happen one of these days. Perhaps right when we least expect it.